2017-2018 Studio All-Stars Lady Legacy team members are Ava Bostick, Sydnie Hoffman, Taylor Jenkins, Haley Johnson, Madi Jordan, Isis Mescher, Camie Mitchell, Ava Moore, Mady Osborne, Alexis Paul, Emma Pauly, Andrie Rose, Maddie Tarbutton, Isabella Veskauf and Kaydence Waldren. Studio All-Stars teams are coached by Holly McGuire. Studio All-Stars, Urbana, the competitive cheerleading program at The Studio for Cheer Dance & Tumbling, announced that the senior team Lady Legacy finished 8th in its division out of 73 teams at one of the nation’s most prestigious cheerleading competitions for small gyms, The D2 Summit, produced by Varsity All Star. Held at Walt Disney World® Resort’s ESPN Wide World of Sports on May 11-13, The D2 Summit, is the season-capping goal for many competitive all star teams. 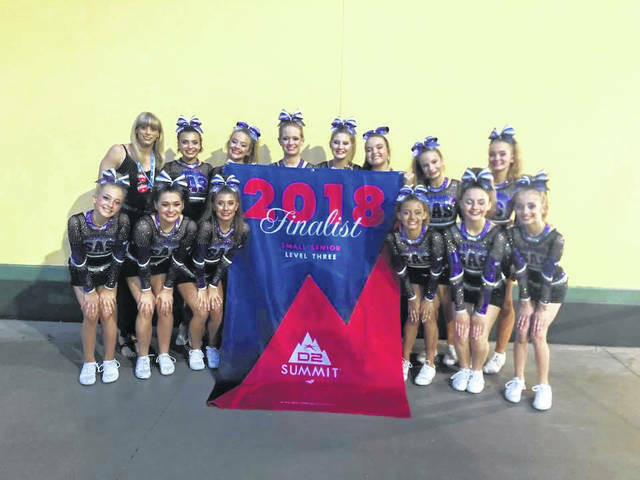 The D2 Summit included performances in the newly opened Arena at ESPN Wide World of Sports Complex, which officially opened in January, and is the first facility in the world built specifically for cheer and dance competitions. Studio All-Stars Lady Legacy competed May 12 in the Semi Finals round where the Top 12 teams advanced to Finals on May 13. Lady Legacy finished semi finals in 9th place with one of their highest scores of the season. 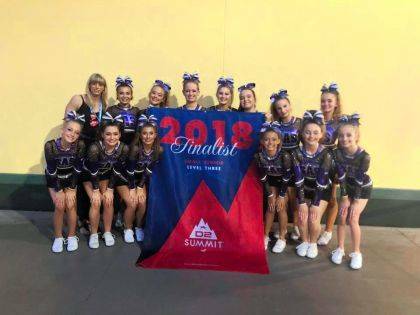 Upon qualifying for the finals Studio All-Stars performed another solid routine bumping their final placing up to 8th place out of the 73 D2 Summit qualifying teams in the Small Senior 3 division.